After contacting Various top institutes of RRB JE we Have got Computer Science Engineering RRB JE Study Material-Handwritten Notes. Here we are sharing Most Preferred and excellent study Material for Computer Science Engineering RRB JE ( Junior Engineer ) so that with the Help of these Study Material-Handwritten Notes Anyone Can Qualify RRB JE with Excellent Marks. 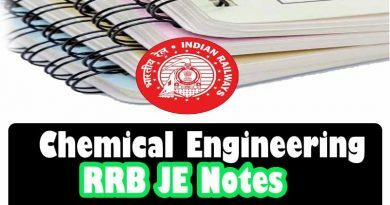 These Computer Science Engineering RRB JE Study Material-Handwritten Notes are for Those Engineering Branches which Belongs to Computer Science Engineering or Comes Under Computer Science Engineering Exam Group. These Computer Science Engineering RRB JE Study Material-Handwritten Notes are printed with the high-quality printer so that visible quality should be the best. These Study Material-Handwritten Notes are full of Quick Tips & Tricks Which Are Very-Very Important For Your Related Different Types of other Exams Also. 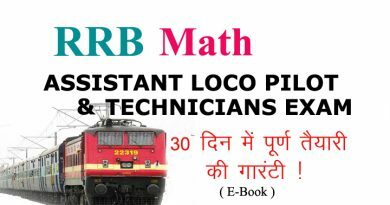 You Can Download These Computer Science Engineering RRB JE Study Material-Handwritten Notes By Paying some amount of Cost. These Computer Science Engineering RRB JE Study Material-Handwritten Notes will help you to Understand all key concepts.